Automatic Sprinklers provide water to your lawn and shrubs on a regular basis based on how you program the cycles to run. An Automatic Sprinkler system consists of a network of underground piping, sprinkler heads, electronic control valves, and a control panel box with a programmable timer that controls when each of the electronic control valves open and close. 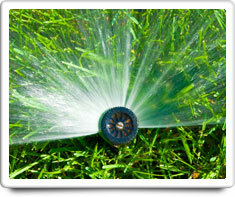 Shown in the 'Routine Care' section are the recommended routine maintenance tasks for your automatic sprinklers. The 'Q & A' section shows answers to common questions. And the 'Articles' section provides helpful articles about your automatic sprinklers.